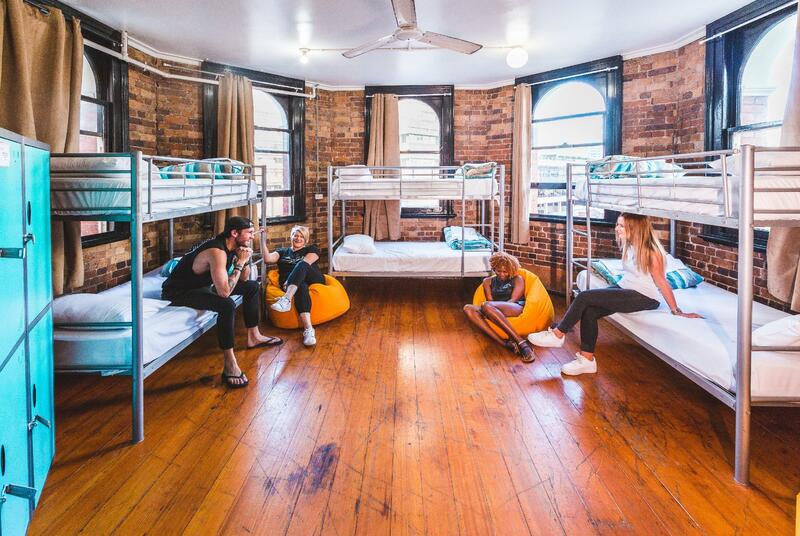 يقع فندق Nomads Brisbane Hostel، المصمم ليناسب كل الضيوف سواء كانوا من رجال الأعمال أو السياح، في مكان ممتاز في أحد أكثر المناطق تفضيلاً في هذه المنطقة. يسهل الوصول إلى هذا الفندق ذو 2 نجوم من المطار، فهو يبعد عنه مسافة 25 km فقط. كما يمكن الوصول بسهولة إلى عدة معالم سياحية قريبة. 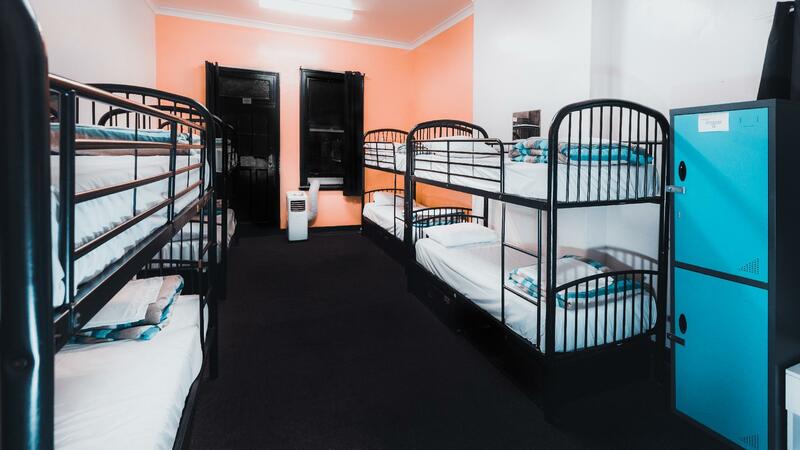 يعرف Base Backpackers بالمستوى الراقي لخدماته ولباقة موظفيه، وهذا ما ستجده في Nomads Brisbane Hostel. يمكن الاستمتاع بمجموعة من الخدمات على أعلى المستويات في الفندق كمثل خدمة التنظيف يوميًا, خدمة سيارات الأجرة, خدمة حجز التذاكر, مكتب الاستقبال على مدار الساعة, تخزين الأمتعة. ادخل إلى واحدة من الغرف 127 وتخلص من عناء نهار طويل بمساعدة مجموعة كبيرة من الخدمات كمثل بياضات, مرآة, مناشف, اتصال لاسلكي بالإنترنت, اتصال لاسلكي بشبكة الإنترنت (مجاني) الموجودة في بعض الغرف. يمكنك الاستمتاع بالأجواء المريحة التي تقدمها بلياردو طوال النهار. 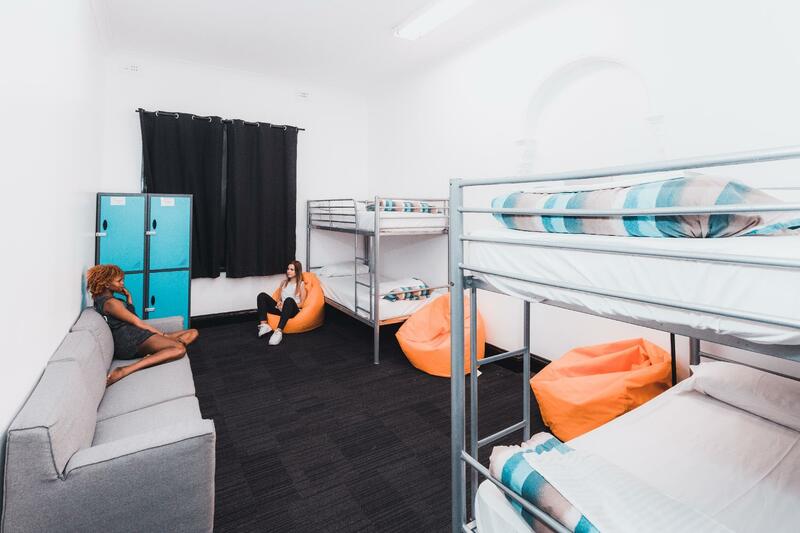 مهما كانت أسبابك لزيارة المدينة، فإن Nomads Brisbane Hostel هو الخيار الأفضل لإقامة مثيرة وممتعة. يوجد مكتب استعلامات متوفر في الموقع. يرجى الاتصال بالفندق للحصول على مزيدٍ من المعلومات. room said there was a fan but didnt have it when i got there. outside was really loud from the a/c, had windows open. toilets were dirty. This is a very nice place to stay overnight. Right in front of the Central Station, it is conveniently located near restaurants and malls. Good thing I was in a room where my phone can pick up wifi signal. You need to pay for internet usage. Hey. Thank you for visiting Nomads Brisbane and we greatly appreciate your lovely review. It is with great pleasure to hear that you've enjoyed all your stay with us and that our staff members were able to assist you when needed. In future if the bar does become too noisy then please don't hesitate to come and grab some earplugs from our 24 hour reception. We do hope to see you again soon. Cheers,Nomads. Told to come back 3 times with different times every time... the manager must of seen we were very unhappy about this and we were upgraded to their apartment room which was very specious, with a nice balcony. Although the bathroom needs a scrub! Would not stay here again due to the experience with the unprofessionalism of the staff. Hi there, Thanks for review. We are sorry you did not have the best experience with our staff. We will let them know and work towards better customer service. We wish you all the best! Stayed for 2 nights. The hostel was quite busy so asked reception for quiet room, to avoid party people.Neil has been very helpful and offered me quiet room. I'm very grateful for that, you made my stay much more comfortable! 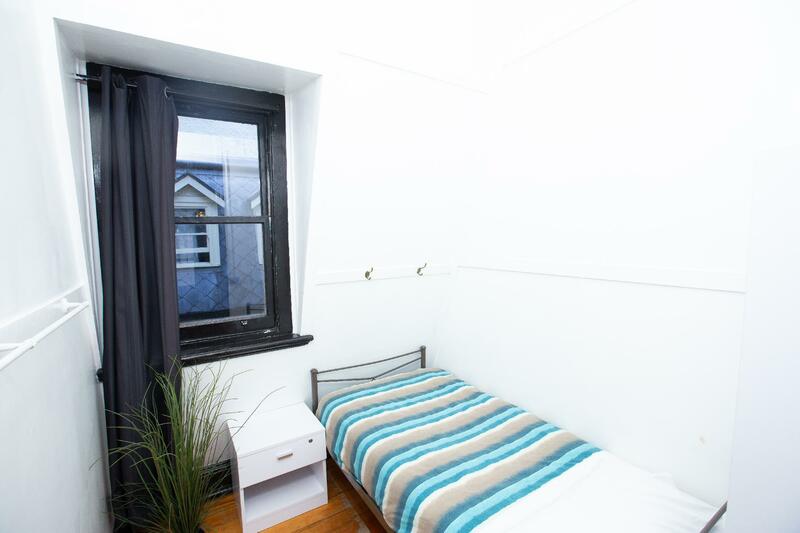 Perfect location, free WiFi, very clean room. Just old lift and a bit of walk to the bathrooms.. Otherwise all good! Stayed fri 30/3/18- sun 1/4/18. Check in was soooooo slow. You have to download the Tipi app and register all your details and then show the barcode on the app upon check in. Make sure to do all this before the 2pm check in as it will save you soooooo much time. The queue at check in was so long and staff very slow at checking in - not very efficient. I was in a four bed dorm which was nice and clean. Windows don’t open and it was very hot in the room. I asked reception for another fan and this was provided very quickly. Thank you male staff member at nomads Brisbane hostel for excellent response on the fan request !! Bathrooms were clean. Kitchen very big and enough space to cook in. Terrace was great. Very central location near all the designer shops. Within walking distance of the botanical gardens, Brisbane waterfront, Brisbane wheel, bridge etc. Definitely worth going on the free city hopper ferry service. 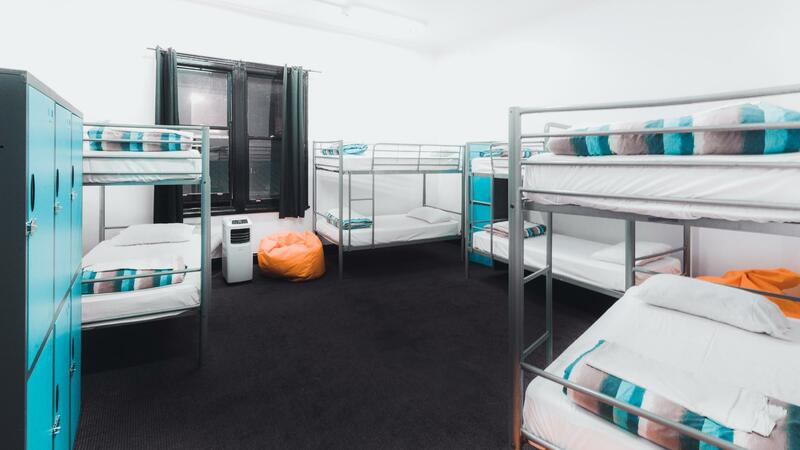 I would stay at the hostel again. They cram people in to rooms. They advertise them as 6 person rooms when in fact it’s 8 people. Which is annoying when you’ve paid a premium to share with less people. This is a very common occurrence! 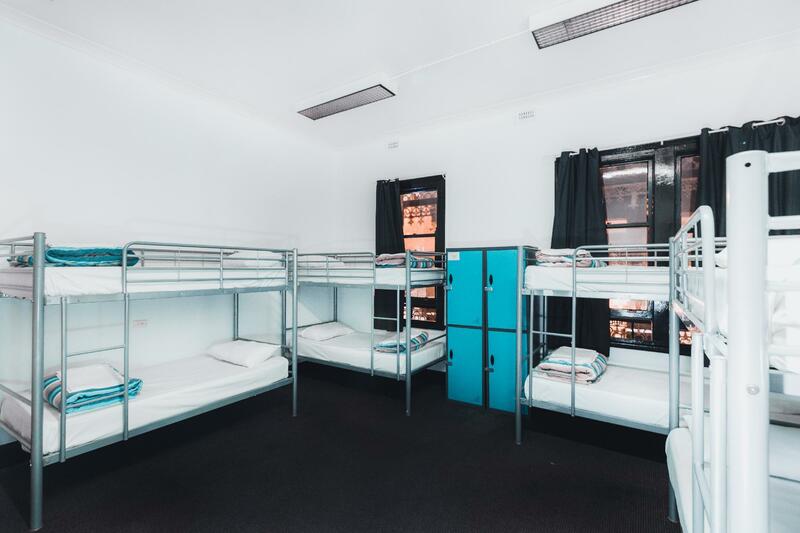 the hostel places near from the queen street mall and central station so that i was able to enjoy brisbane well. but it looks quite old. you can use the lift untill only 4th floor, so you have to carry your luggage from 4th floor to 5th floor if you stay on 5th floor. unfortunately it's quite noisy in the night time because there are some pubs near the hostel. We stayed there just one night but it was good. The place is perfectly situated in the center of Brisbane. 1 minute away from the train station. The room was simple but it was perfect for one night. Hi Malorie, Thank you for review. Our hostel is in the centre of the city so public transport is at our doorstep! We hope too see you back sometime! Hi there, Thank you for your review. 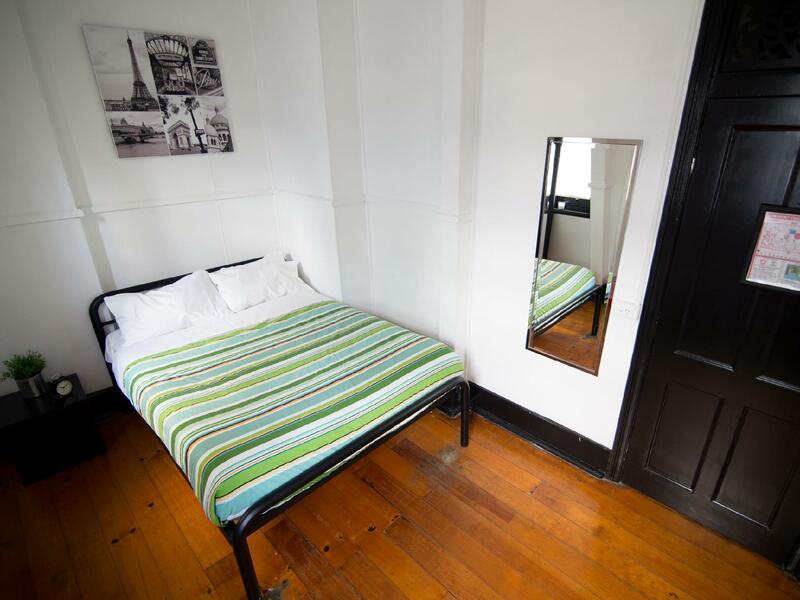 Our hostel is located in the centre of the city above down under bar. We are a party hostel so there is noise at night. We will review our cleaning process so that future guests will have a better stay! First stayed here about 40,yrs ago when it was the Peoples Palace Hotel. The authenticity has been maintained. Down side is that the lift is the same one I used 40yrs ago, now unfortunately unable to cope with today's traffic! This grand old lady deserves a little more TLC than it appears to be getting. Also be aware that all single rooms are on the 5th floor & lift (when working) only goes to the 4th. However staff were very helpful with use of service lift to this old fogie! Location is within walking distance of everything needed. Central Station literally across the road. This is a bit of a let down. My guest misplaced his bag and was obviously upset. The staff refused to offer much assistance and instead asked my guest to leave. They did however refuse to refund any money for the nights after being asked to leave. They cheated me for 1 night! Very disappointed with "born to rule" attitude of management. If you ask a guest to leave - refund the bookings paid for at this point in time. Why cheat the guest? Hi there, Our building is a heritage listed building which means we cannot make many structural changes to the building itself! We just embrace in the history! Hi Jorja, Thank you for your review. We are sorry with your experience at our hostel. We will look into the problem with the power and will do our best to avoid a double booking. We do our best to give our customers the best experience possible. We do hope that we see you again. 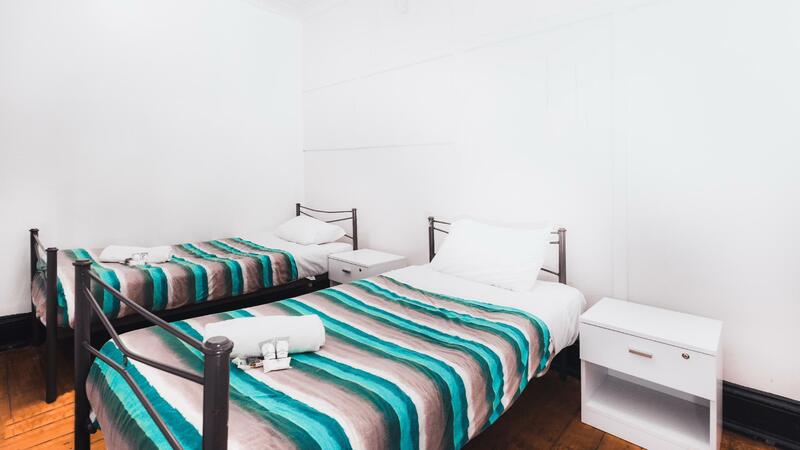 The location of the hotel is strategic as it is near to many popular tourist spots which are accessible by walking or taking a ferry at the eagle street pier. It is also convenient if you want to catch a bus or train (at the Central Station). There is a lot of food and drinks available for purchase at the convenient stores, cafes and eateries along the streets especially at the Queen St Mall. The single room that I booked for is located at the 5th floor (rooftop). It was clean and tidy. Clean towel was provided for shower. The shared toilet for 5th floor guests is located outside of the room at the rooftop area and was rather clean and spacious. 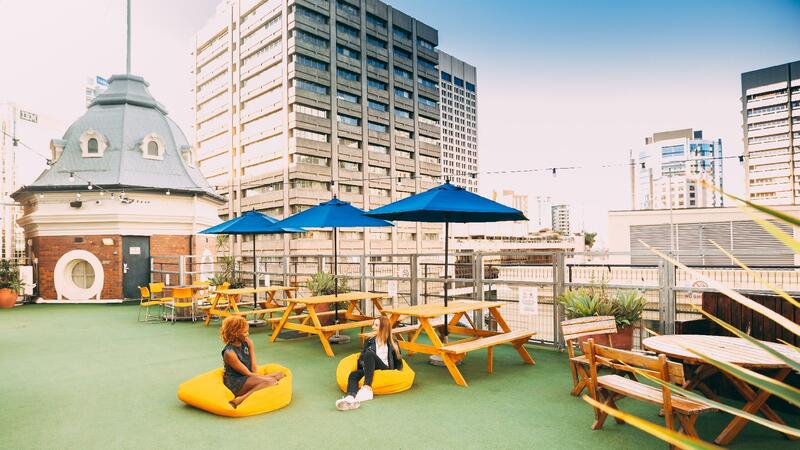 However, the rooftop area was constantly surrounded by loud air-con or air ventilation noise. Sleep would be disturbed if you are a light sleeper. There was also a party held downstairs late at night which can be clearly heard at the rooftop. Bring your earplugs to censor some of these noise if you plan to stay here. The location is prime which really is a pro, but the facilities are not great (the kitchen is disorganized and always messy, the showers are mostly very bad). The hostel has a bar underneath, so it is impossible to sleep without earplugs before 2 or 3am. Hi there, Thank you for your review!! We are located very central in the city across the road from the train station!